Make your GIS content more easily accessible, and improve collaboration and productivity, by sharing your content in the cloud. 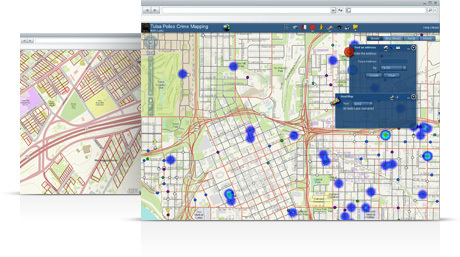 Users inside and outside of your organization, including the local business community and the general public can use the online maps with ArcGIS for Desktop, ArcGIS Explorer, ArcGIS for Server Web mapping applications, or standard Web browser and mobile applications. 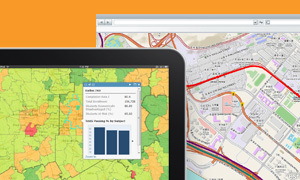 Content is hosted and maintained in Esri’s secure cloud, which ensures high performance and availability and, eliminates the need for you to maintain a costly basemap service. As the maps are published as cached tiles, you retain ownership of your data. And, as you can access your map content 24 hours a day, seven days a week, your organization gains access to a valuable emergency management tool. By contributing your content, your organization gets access to a rich collection of accurate, beautifully styled basemaps created from content provided by multiple governmental and commercial data providers, and GIS users around the world. 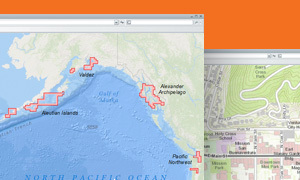 Regularly updated, Esri works with the global user community to continuously enhance these popular basemaps in order to provide the best available content. Contributing your content is easier than ever. 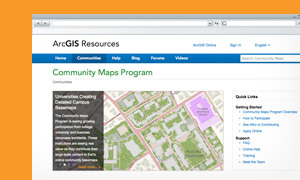 Prebuilt templates, tools, and workflows are provided through the Community Maps Program Resource Center to help you get started and efficiently assemble, author, and cache basemaps using your content. Free online training and self-paced learning workshops are also available to ensure you get maximum benefit from your participation.